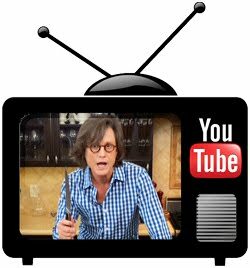 Eat.Greg.Eat! 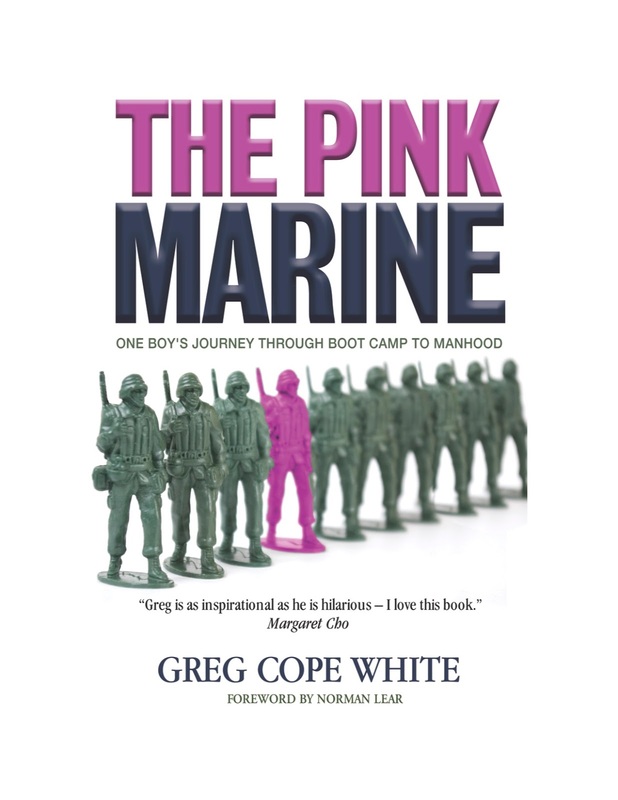 : The Pink Marine: My Marine Corps Boot Camp Story is in stores now! Is this book hilarious? Hello -- I joined the Marine Corps. I didn't even weigh enough to pass the physical. Hollywood star Jane Lynch read it. She Gleefully says, "This is the story of how, through pure gumption, a most unlikely Marine candidate rises to the occasion to show his (rainbow flag of) true colors. This guy has lived a life! Greg's hilarious and amazingly insightful re-telling is so much fun to read." Is there heartbreak? Dude, they shaved my head. I love actor David Hyde-Pierce, “A great story beautifully told— surprising, funny, courageous and inspiring.” He also told me which parts made him cry. Discover those emotional moments when you read my book. 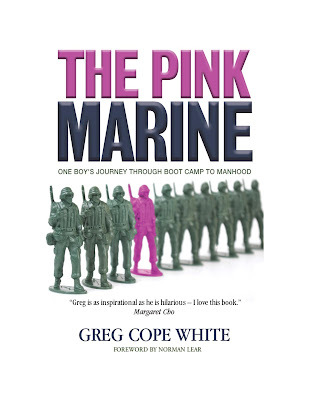 Does The Pink Marine fit into the Young Adult genre? Sort of. In the book I'm young (I age from 10 to 18). And thanks to those teenage years, there's some grown up stuff in there. Boot camp was the hardest thing I ever attempted, writing this book comes in second. (OK, passing a kidney stone is really the toughest event I've every accomplished.) However, I used the lessons I learned in the Marine Corps to push through every obstacle to get this book into your hands. Thank you to the United States Marine Corps for training me to be indefatigable. Along my writing journey, I recruited others to help spread the word. Like an agent, a publisher, and legendary Betty White. I grabbed Betty at a party. At 93, she couldn't resist. Literally, she's 93. She tried, but I used hand-to-hand combat honed in the Marine Corps to hold her down. She's unharmed, wonderful and I will call her. The Pink Marine took a great deal of effort. The moment I typed The End was very emotional. Along my publishing path, I remembered a song my drill instructors used to lead our platoon in, when we faced horrible times in our training -- like force-marching for miles burdened with a seventy pound backpack, a rifle and lack of sleep. The little ditty still brings comfort and a reminder of what a privilege hard work is. One, two, three, four, welcome to the Marine Corps. One, two, three, four, this is what you asked for. No matter how difficult or heinous the challenge, I knew I could/would/should write this book. Please buy my book today. And I hope you enjoy it. There are hardcover, paperback, and e-book (audio coming soon) versions. Hey, for the right price, I'll bake this book into a delicious pie and hand feed it to you. I am -- as the Marine Corps motto says: Semper Fidelis. Visit The Pink Marine for more and to buy the book from links to your favorite booksellers (Amazon, Barnes and Noble, IndieBound and Abe Books).